We have created this special club for our 12 & under kids! Horsemanship Club consists of 2 unmounted meetings per month! 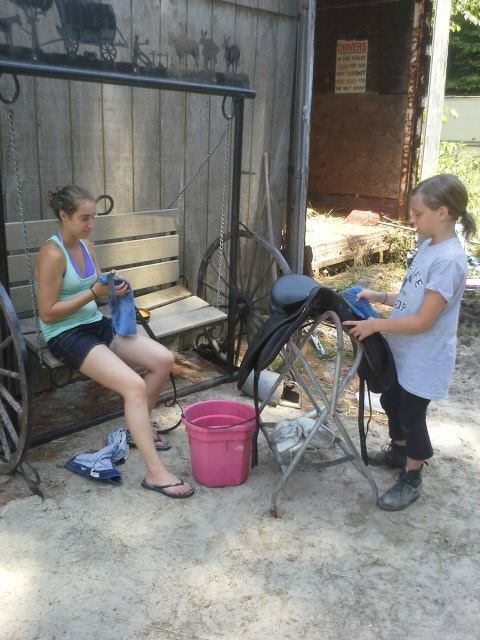 Our kids learn different aspects of horse care, health, and the workings of the barn! Each meeting consists of a different lesson. Meetings are one hour long, currently being held every first and third Wednesday of each month, more dates will be added as the club grows! Each member receives a year subscription to Young Rider Magazine and access to the monthly meetings! We have annual Parent presentations to show what the children have learned as a group through out the year!